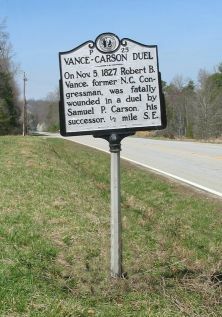 On Nov. 5, 1827, Robert B. Vance, former N.C. 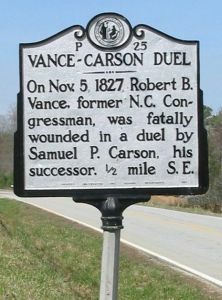 Congressman, was fatally wounded in a duel by Samuel P. Carson, his successor. 1/2 mile S.E.